New high quality white metal bearing shells for early Lister CS 3/1 engines with a 2.25" crank pin. These bearing shells are steel backed, not bronze like the originals, however it does the same job. Available in std or oversized in 10 thou increments for where your crank has worn and had a regrind. 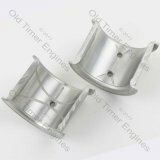 High quality clean white metal bearing shells to replace your original Lister CS big end bearings. 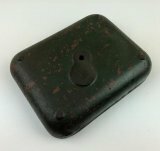 These are available in standard size for 2.5' crankpin or oversized in 10 thou increments for where your crank has worn and had a regrind. 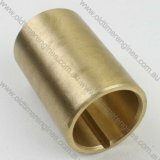 A well made high quality cam shaft end bronze bush. This bush is for the governor end of the cam shaft, and fits all Lister CS engines. 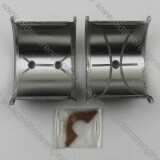 The steel bearing for the opposite end of the cam shaft is available separately in our store if required. 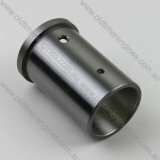 Lister CS bronze small-end (connecting rod) bush, equivalent to Lister part number 5-1/D7A or No. 8-4-7-1. This bush will fit all CS and Listeriod engines with a 4.5" bore, including 5-1, 6-1, 8-1, 10-2, 12-2 and 16-2. A crankshaft main bearing for original Lister CS engines. This is a high quality white metal bush for use with original Lister engines with 2" diameter crankshaft journals.